There are several defensive measures you can take to prevent and minimize insect damage to your vegetables, fruits, flowers, shrubs and trees. None of these methods involves the use of pesticides, and most of the methods are things you should be doing anyway. Knowing the big benefits of properly taking care of garden chores may encourage you to keep up with them more diligently. Make your soil healthy with natural compost and soil amendments. This will encourage strong healthy plants and lots of beneficial insects and microorganisms in the soil. Healthy plants will withstand and recover from most insect attacks. Promoting excessive growth by using high nitrogen fertilzer will attract insect pests. Many damaging insects feed on tender new growth. Avoid overhead watering and water early in the day so the plant foliage has a chance to dry well. Insects enjoy moisture that accumulates on foliage. Keep your plants in good health. Lack of water, nutrients, poor light or air circulation and poor soil conditions can stress plants. Stressed or unhealthy plants are most susceptible to damage when attacked by insect pests. Remove weakened and damaged plants or plant parts quickly. Clear debris, garden waste and weeds that will attract and harbor pests from your garden. Managed areas, that does include specific types of weed or debris-like materials, should be maintained to encourage the beneficial insects. The previous article provides suggestions on how to manage habitats for beneficial insects. Select crops and plants that are best for your region and that are resistant to the pests of your region. Sometimes heirlooms and natives are best, but not always. Certain hybrids have capitalized on resistant qualities of the parents. 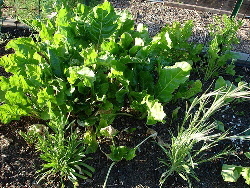 Rotate crops in your vegetable garden. Many damaging insects attack specific plants and will overwinter in the soil. Moving your crops around will help to avoid re-infesting them. Companion planting has long been a method to deter damaging insects. Some plants posses natural properties that benefit other specific plants. Inspect your plants frequently for signs of insect activity. Insect pests may hide in flower blooms and the underside of leaves. Get to know what the insects that may attack your crops or specific plants look like. If you can identify them quickly you can get ahead of the problem before it is out of control. Take a picture if you need to and either bring it to your trusted garden center for identification or search the internet. Insect pests can be picked off the plants and dropped in soapy water. Cover fruit crops with fine netting or crop blankets. Large mesh netting is commonly used to prevent birds from pilfering fruit, and fine mesh will keep all but tiny insects out, but a porous row cover fabric will prevent insects from reaching fruits. Floating row covers allow air, water and light through. Young plants and seedlings can be covered with a cloche. But the traditional cloche is not ventilated and needs to be opened when it gets hot. The cloche will help a seedling become strong and healthy before it is potentially exposed to pests. Many gardeners have gotten very creative with improvised cloches that protect from frost or other weather damage, many of these ideas can work for insects too. Attract predator insects to your garden. You can learn about these beneficial insects and how to encourage them in your garden in the previous articles. When all else fails and your risk losing plants or crops altogether, you may need to resort to a more direct control. There are chemical pesticides you can use of course, but there are also many natural options such as pepper spray, insecticidal soap spray, diatomaceous earth, etc.. Do keep in mind however, that even an organic remedy will kill the good guys too, reducing your protection from future attacks.